I found a good article on re-connecting with inactive clients and prospects, and it resonates with me because it’s a common request among my clients to use their CRM and tie it to an ESP (E-Mail Service Provider) to reactivate dormant prospects and customers. By the way, it costs 7 times more to acquire a new customer than to keep an existing client and the lifetime value is 10 times greater. 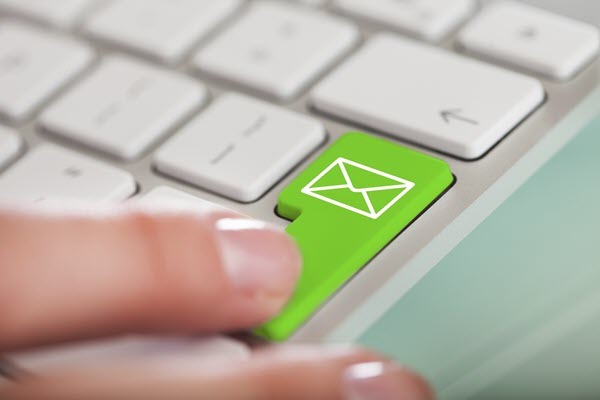 We’d like to believe one email blast with the same message to all contacts solves the problem; however, the author believes a win-back campaign requires precise messaging per market segment. Also, it should be rolled out incrementally so if you do get a high bounce rate, it’s easier to clean up for subsequent mailings. Acceptable hard bounce rates are less than 5% per campaign before ESPs take notice. How are you engaging your inactive prospects and clients ? The first thing we’d do is determine if your bounces and opt outs are in separate spreadsheets, and consolidate that in the CRM. Then filter the CRM's to ensure they no longer get emails. In our practice, we hired a client retention specialist to call clients in addition to email. To help her out, I created a one click report that finds our clients sorted by account size. It takes her about 1 minute to find out who needs to be called. One question we get is, "How do I avoid a spam trap ?". I will answer this from a business process and content creation standpoint. Nothing is full-proof, but these are factors you can control. Create some sort of relationship beforehand by direct mail, on-site visit or by telemarketing. Using an excessive amount of graphics instead of text. If you send an e-mail with just an image, it may look good for you. However, the spam-bot will flag it. Some of my drip marketing campaigns are plain-text in order to increase delivery rates, but I trade off branding and imagery to convey the message. 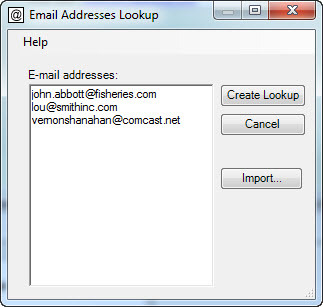 Lookup Multiple E-Mail Addresses at Once in Act! If you are using Swiftpage E-Marketing, Constant Contact, MailChimp or some other outside service to send broadcast e-mail based on Act! contacts, then you need a place to look them up. Let's say you get a spreadsheet of 20 bounces, and you want to update Act! with that result. Rather than looking up each contact one at at time, this free tool will lookup multiple e-mail addresses at once. One of the biggest hurdles has been content creation. Here is a summary of 6 ideas along with a complete list of 15 ideas.